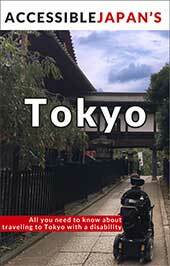 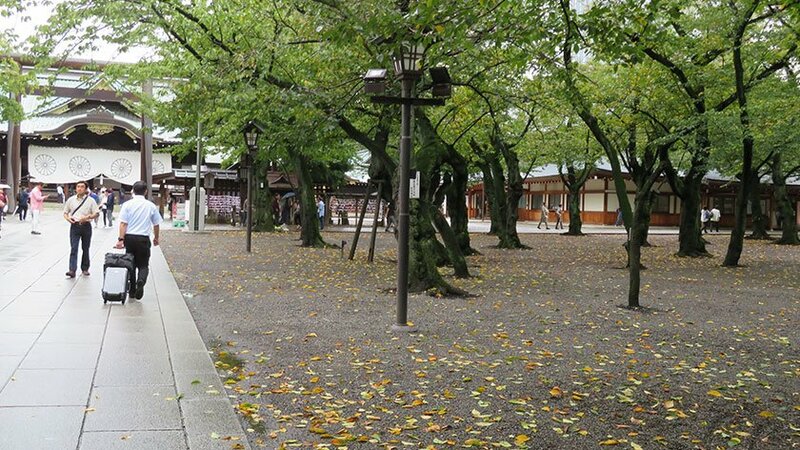 Yasukuni Shrine is home to Tokyo’s representative cherry tree and is mostly wheelchair accessible. 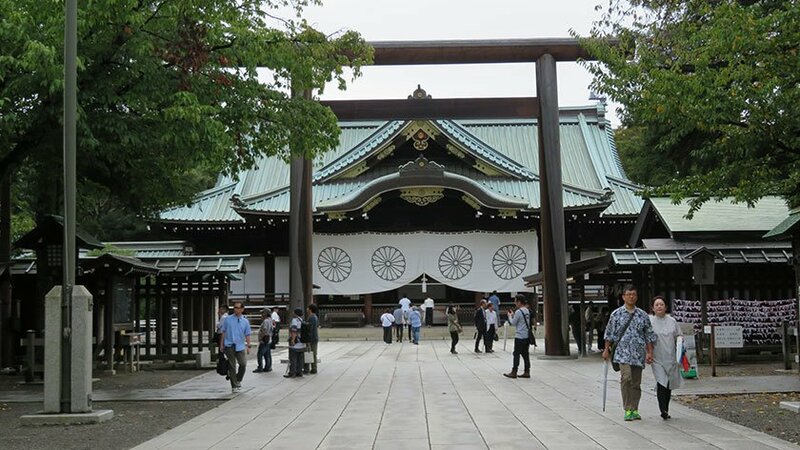 Yasukuni Shrine was established in 1869 by Emperor Meiji to commemorate those who died in service of Japan during the Boshin War of 1868–1869 helping to build the foundation for a peaceful Japan. 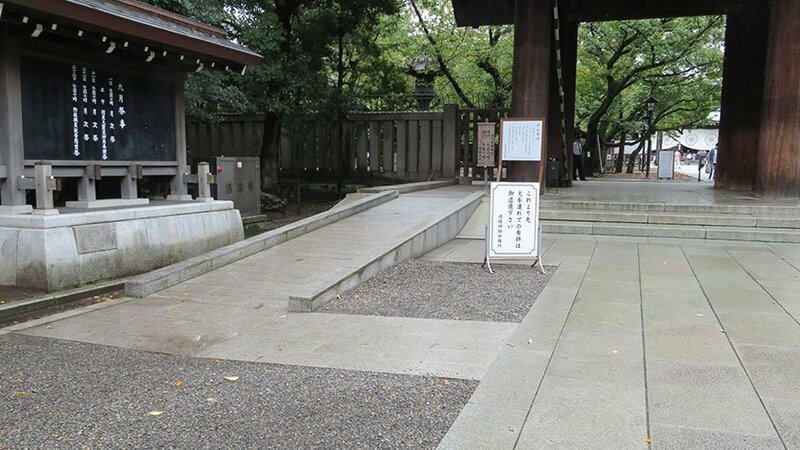 Those enshrined at the shrine have been expanded to include those who died in the Satsuma Rebellion, the First Sino-Japanese War, the Russo-Japanese War, the First World War, the Manchurian Incident, the Second Sino-Japanese War and the Pacific War (World War II). 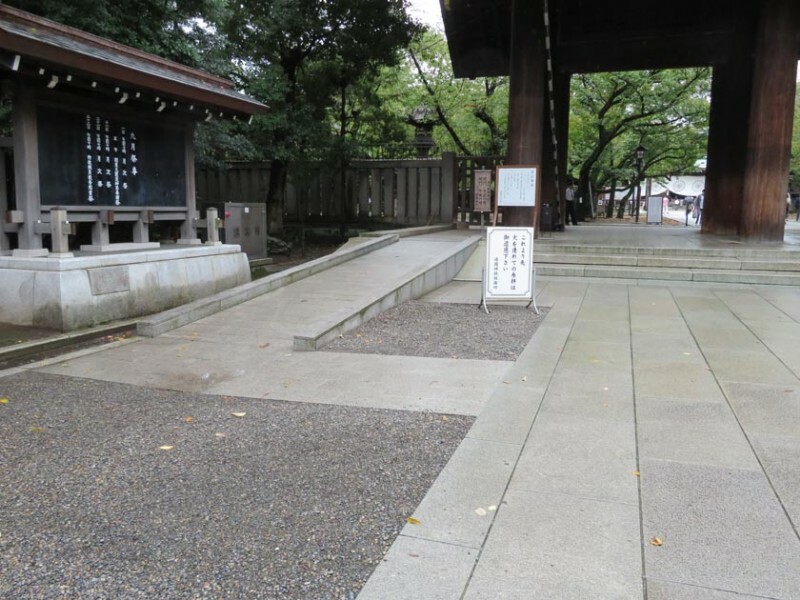 The shrine lists the names, origins, birth dates, and places of death of 2,466,532 men, women and children who died in conflicts. 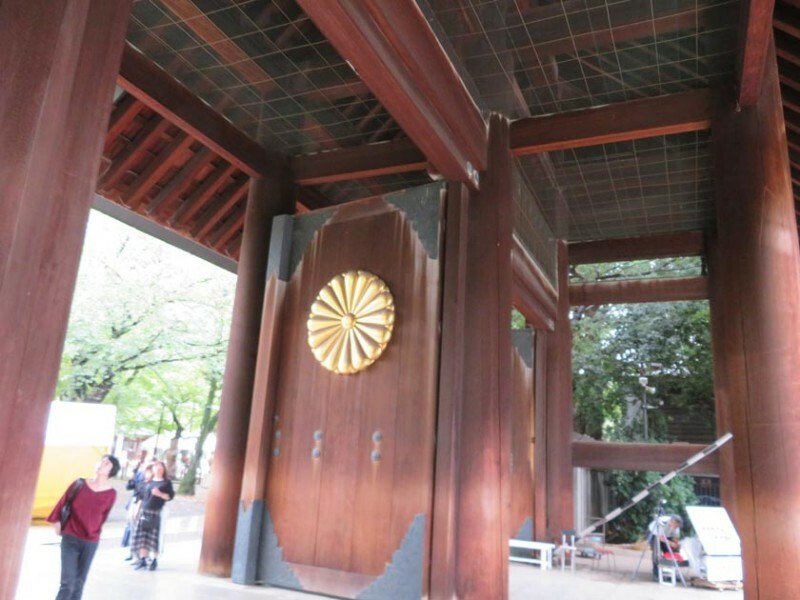 Among those enshrined are a number of convicted war criminals which has lead to political controversy particularly when any politician visits the shrine. 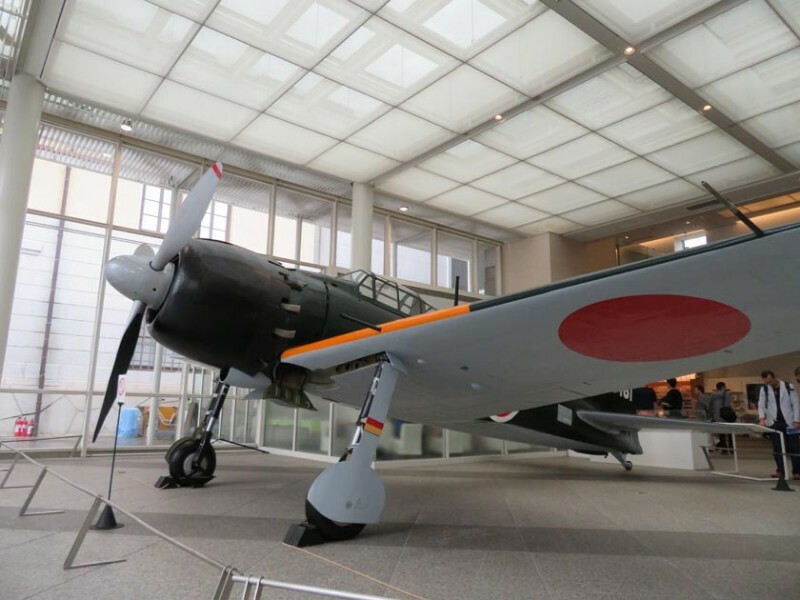 Next to the shrine, there is a war museum called the Yushukan. 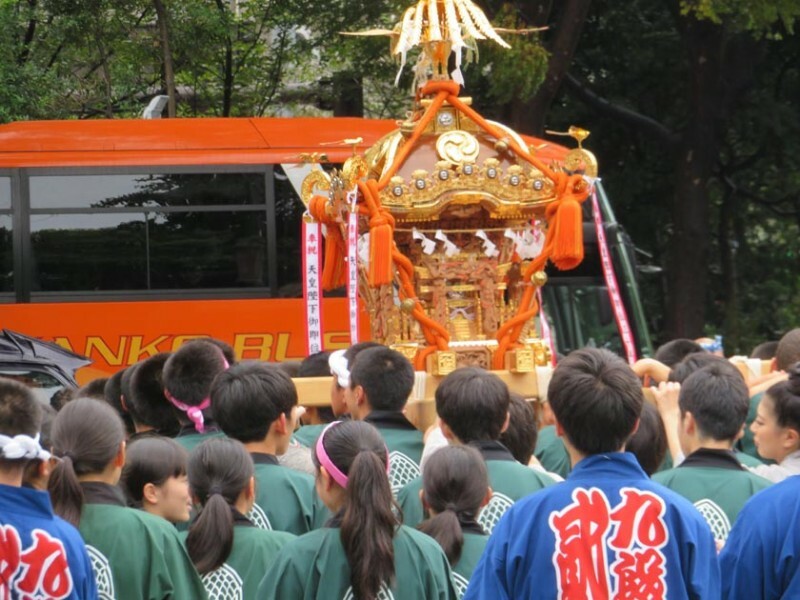 Numerous shinto festivals are associated with the shrine and in the spring and autumn portable shrines are carried around to honor Japan’s ancestral gods. 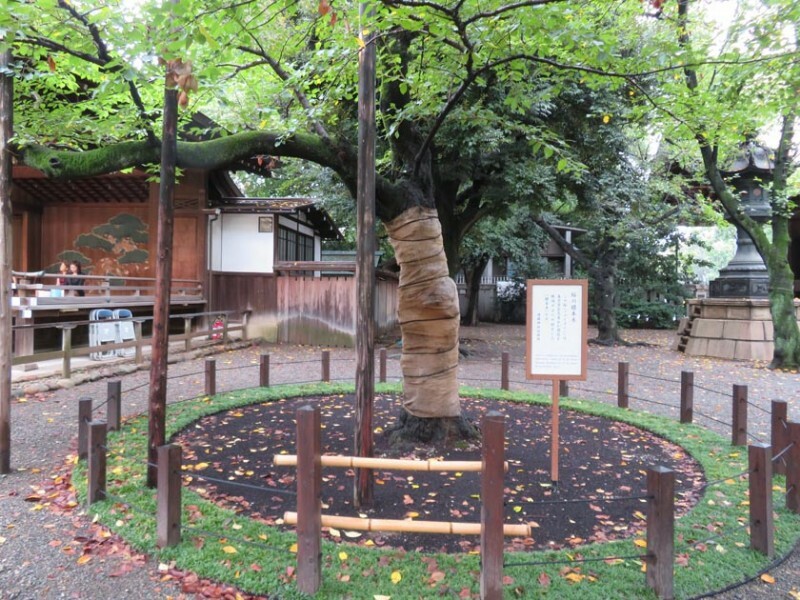 The shrine is famous for cherry blossoms and, in fact, one of the trees is the representative cherry tree of Tokyo which is used by the meteorological agency to announce the official start of the cherry blossom season in the city. 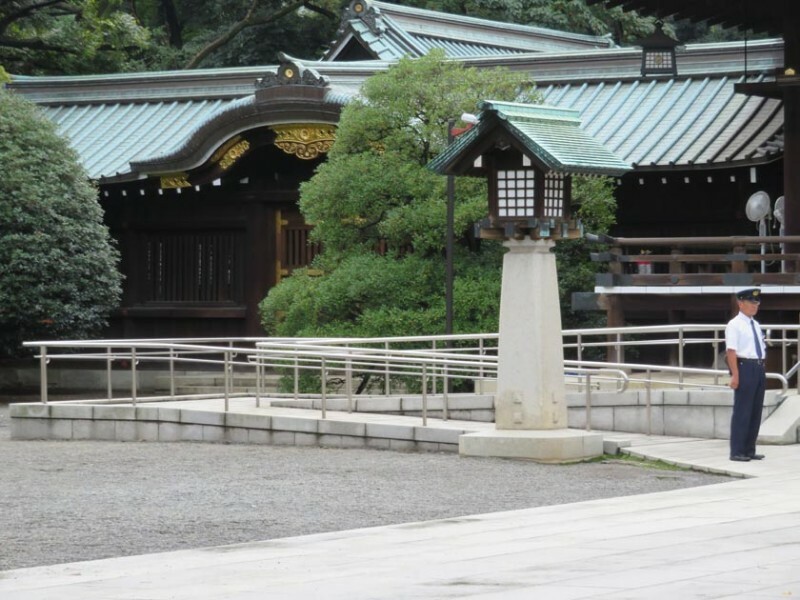 The shrine is free to visit year-round from 6:00 to 18:00 (17:00 from November to February). 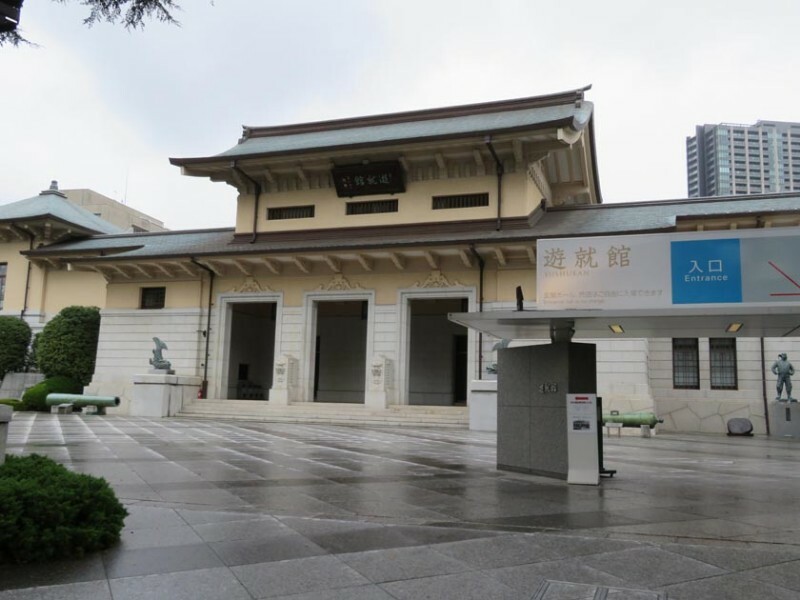 The Yushukan Museum is open from 9:00 to 16:30 (admission until 16:00) with a 800 yen admission fee. 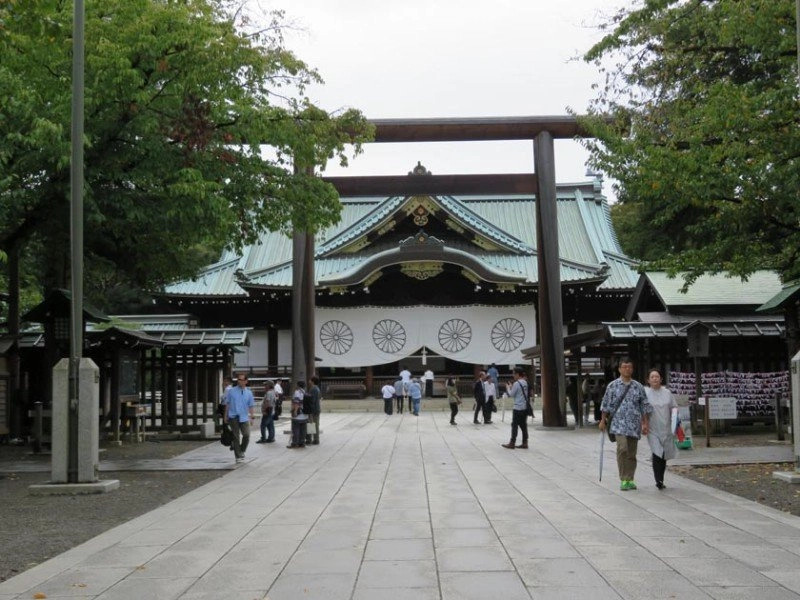 Yasukuni Shrine is a few minute walk from Kudanshita Station (Hanzomon Line, Tozai Line, and Shinjuku Line). 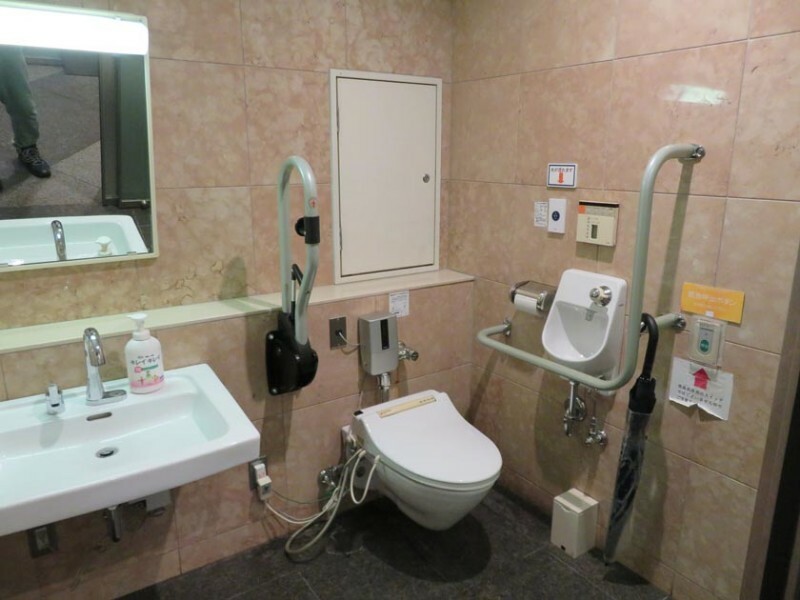 The station is wheelchair accessible. 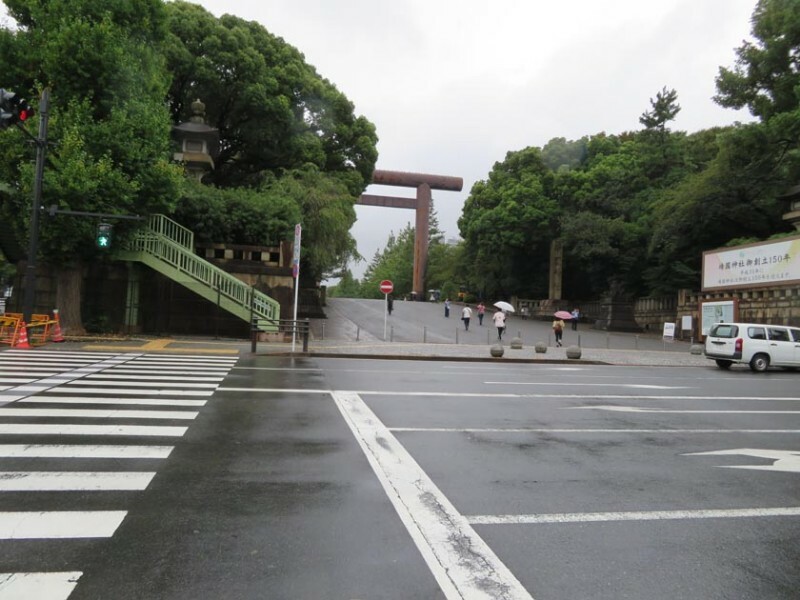 Getting to the shrine from the station requires going up a hill, going over a bit of cobblestone, and then up another short hill. 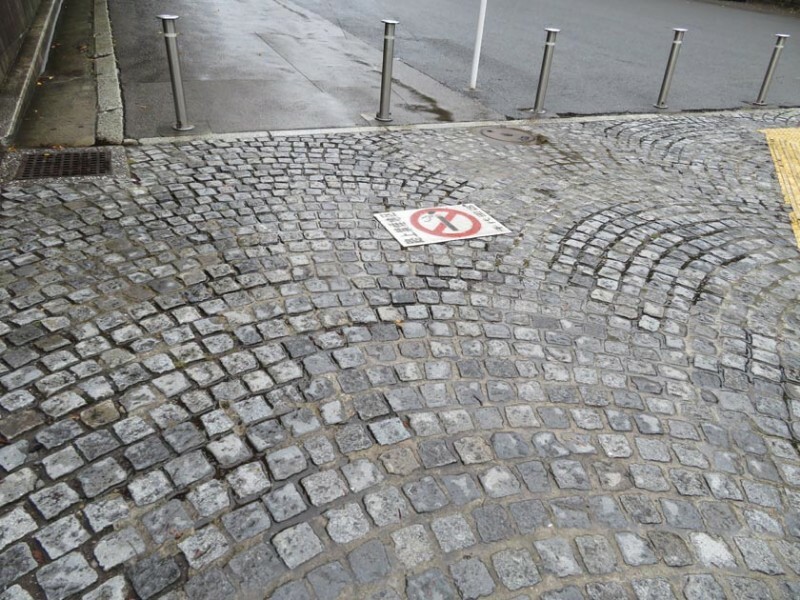 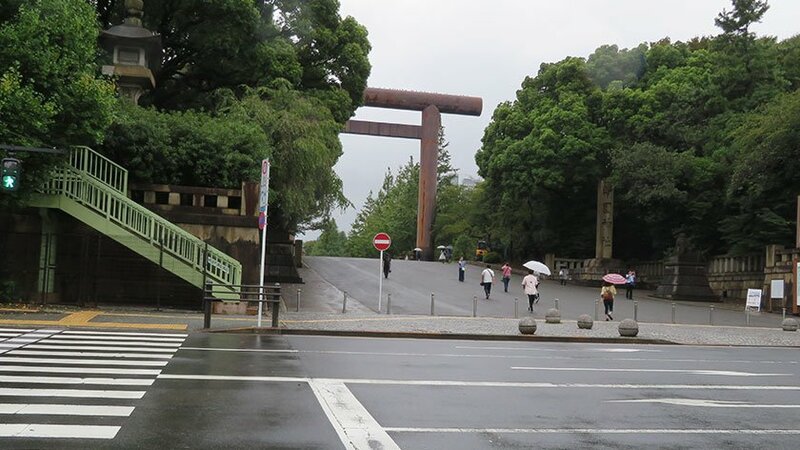 Once up the small hill, the surfaces are flat and there are ramps through the main gate. 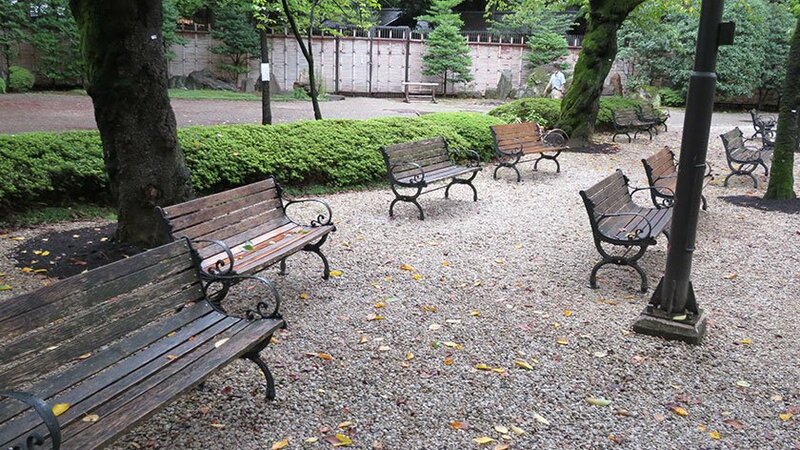 Some areas, like under the cherry trees, only has gravel which is fairly deep. 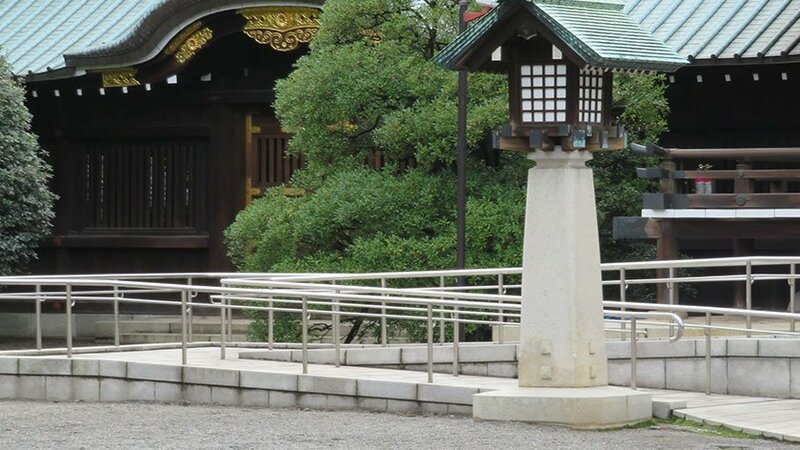 The main hall has a ramp on the left side. 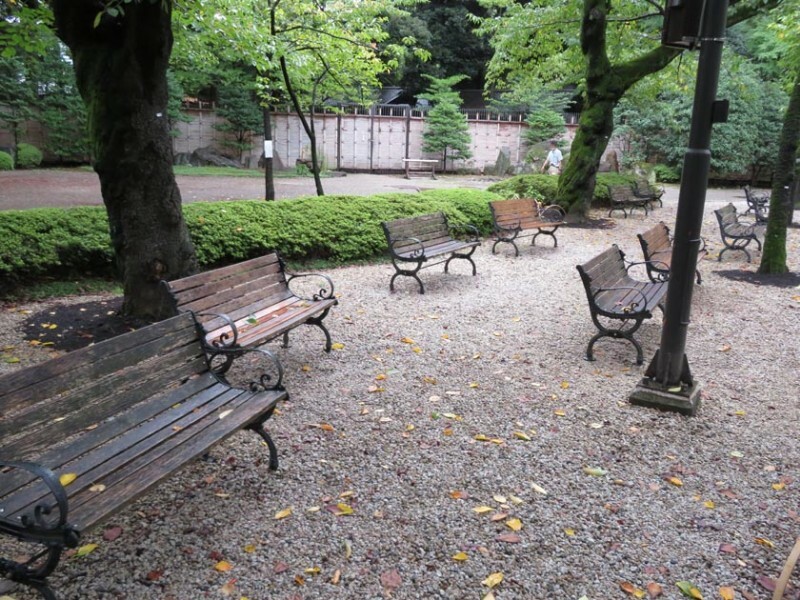 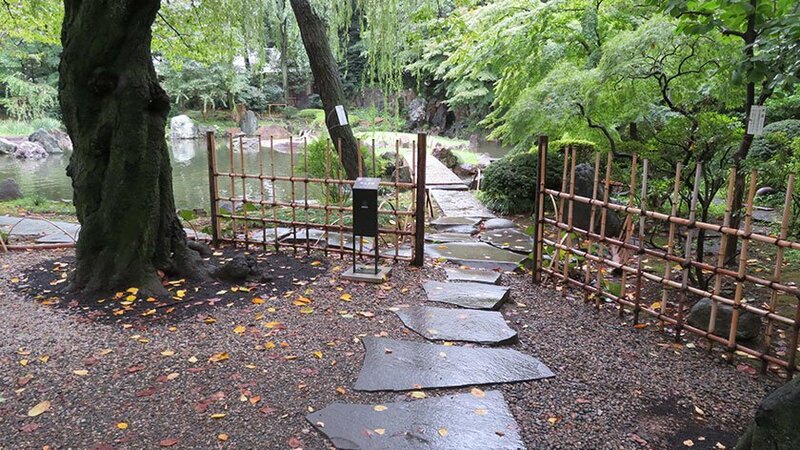 Going around the back of the shrine, there is a small tea house and pond with benches for visitors to rest on. 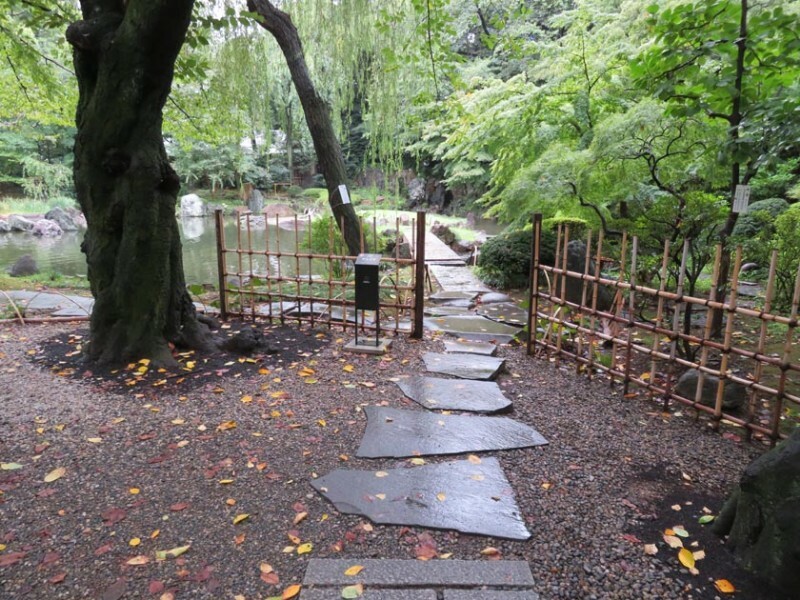 Unfortunately, neither the path around the pond, nor the tea house are wheelchair accessible. 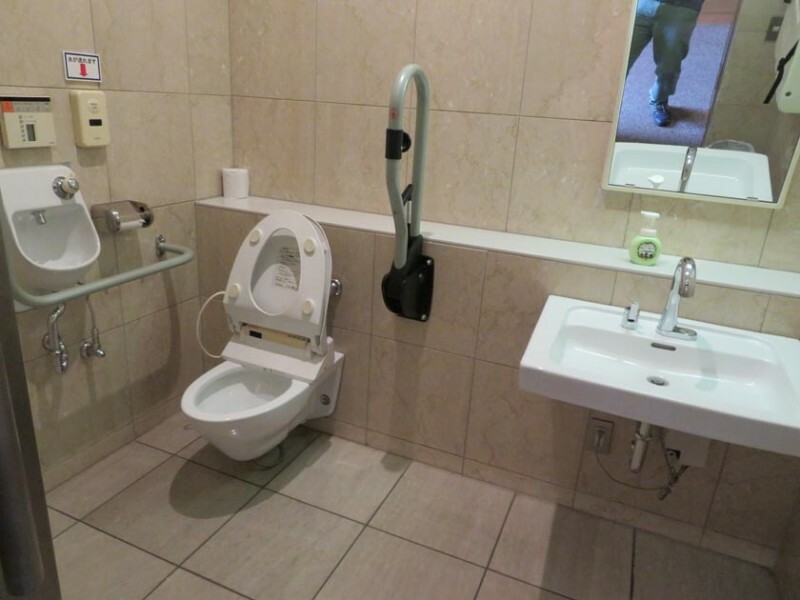 A small rest area with an accessible toilet can be found en route to the pond. 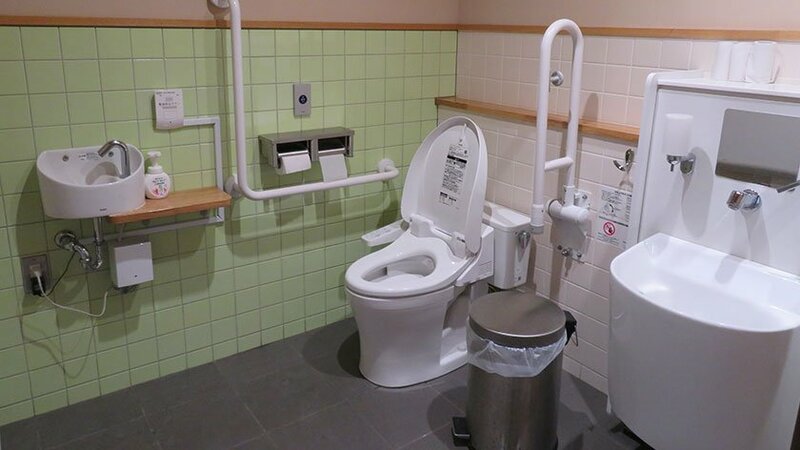 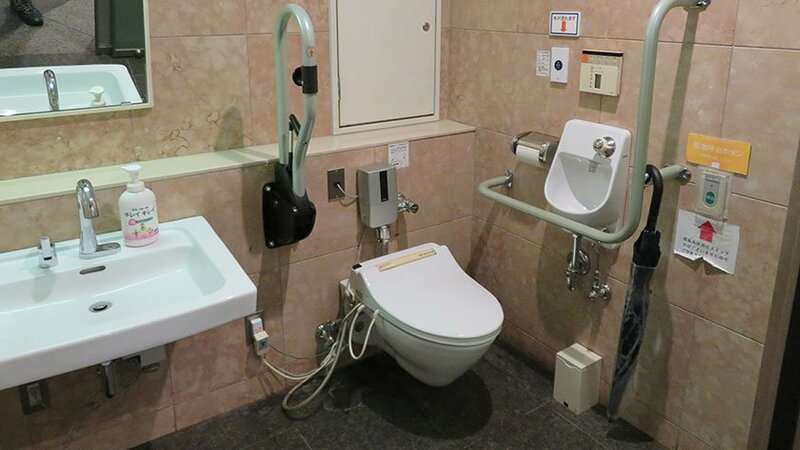 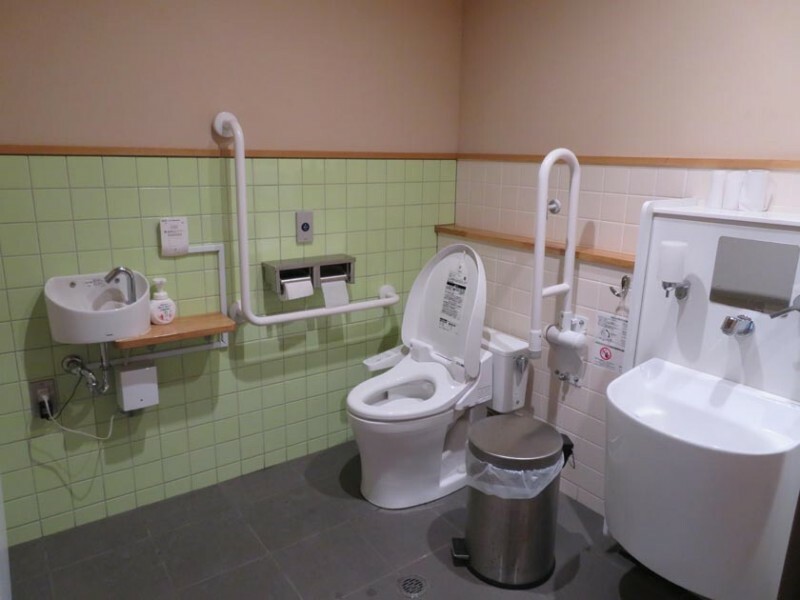 The Yushukan museum is fully wheelchair accessible and has several accessible toilets. 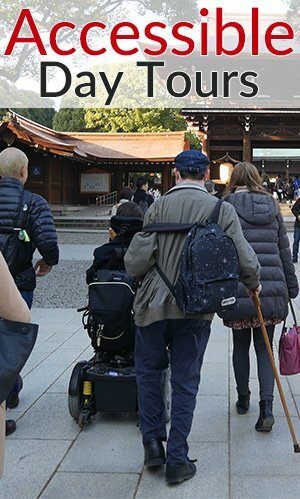 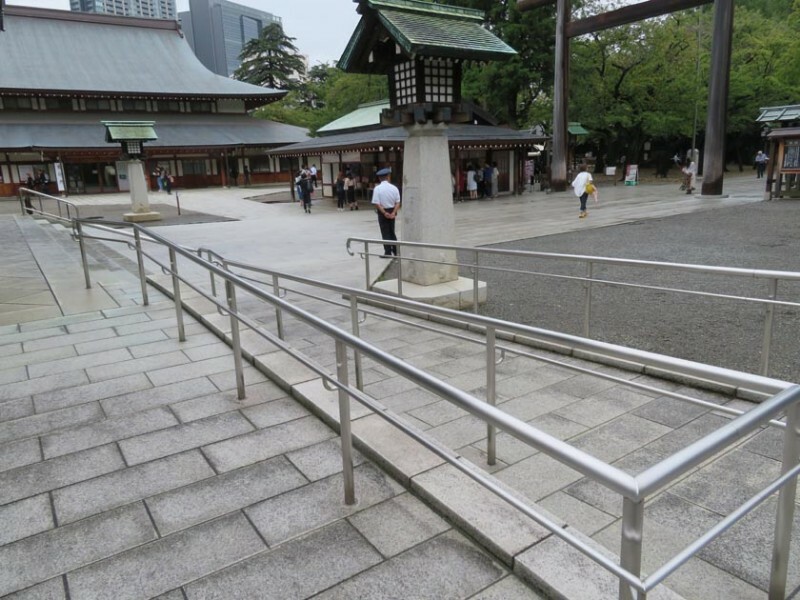 After getting up the initial hill, the shrine itself and the Yushukan museum are quite wheelchair accessible. 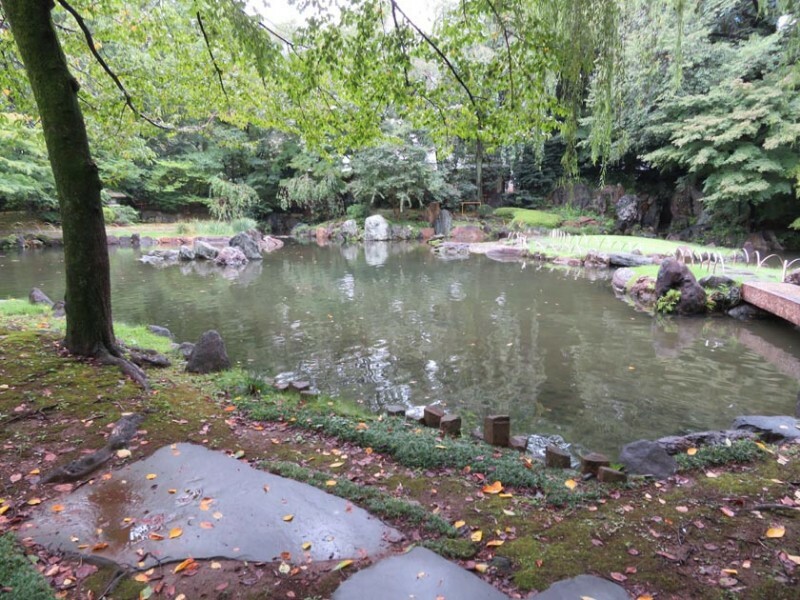 Unfortunately, the areas under the cherry trees and the pond at the back are not easy to access for those with mobility challenges. 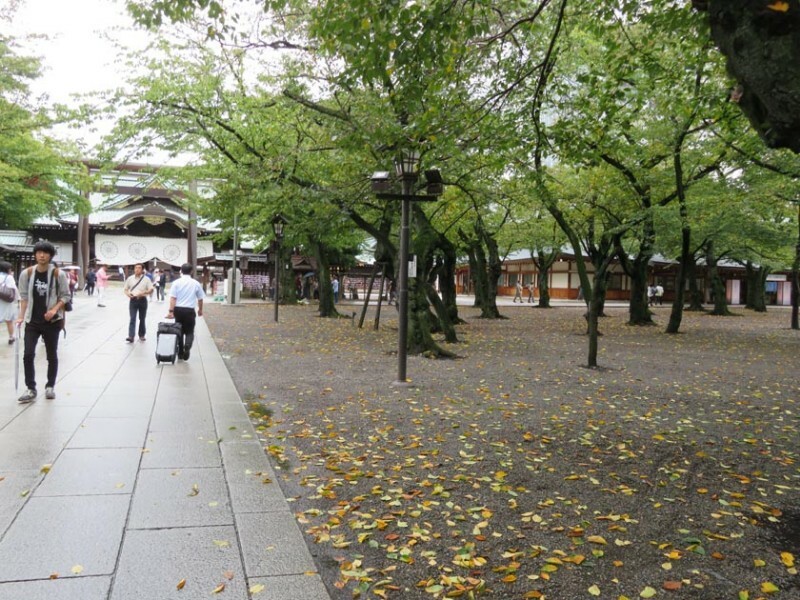 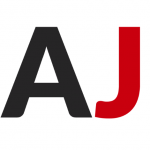 Leave your questions or comments about Yasukuni Jinja here!